Just ten minutes before the end of a Champions League match, fans of the Munich club, Bayern, unfolded a banner calling on the UEFA to accept Kosova as its newest member. 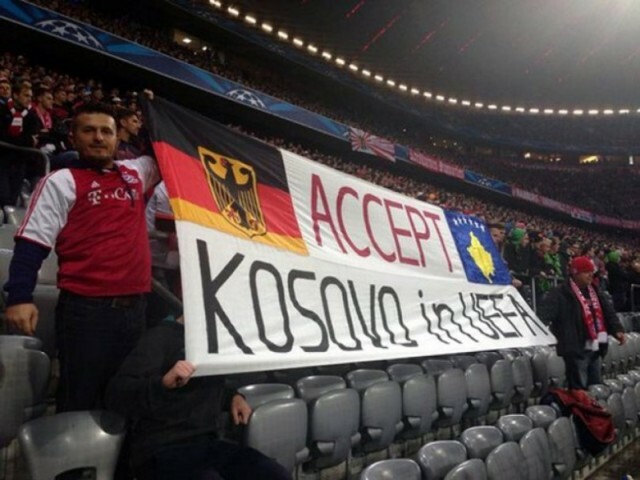 Accept Kosovo in UEFA was displayed on the north stand of the Allianz Arena, during the match between Bayern and Czech Victoria. Security officers ordered for it to be taken down. Kosova declared independence in 2008, ending an almost hundred-year Serbian colonization. It has applied for membership to a number of various international organizations, including FIFA and UEFA. 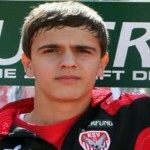 However, the two major football organizations tie their membership to UN membership, which Kosova does not have. Though more than 100 countries have recognized Kosova’s independence, Russia has threatened to use its veto power if Kosova applies for a UN seat. This situation has left Kosovar football clubs and players in limbo, and many Kosova players play for other national teams, such as Albania, Switzerland, Sweden, and Norway.